Adams is the State Senator from NY’s 20th District. He is a Democrat. However, one week later on June 11, 2013, Adams, along with Senator Kevin Parker, introduced Bill S5741-2013 – known as the “Brooklyn Health Trust Act” – into legislation. The bill, “read twice and ordered printed,” was introduced to the Health Committee to establish the Brooklyn Health Trust and Health Commission with funds from the real estate sale of LICH. Section 813.1 of the article defines the purpose of the trustees to “provide ambulatory health care to low and moderate income residents, the elderly, frail and disabled persons of the county of Kings. Section 814 reiterates the funding “in an amount equal to the proceeds derived from the sale of assets of Long Island College and the Downstate at LICH Holding Company.” Eighteen LICH buildings are listed as assets to be sold – including the Pollack, Othmer and Fuller Pavillions, which make up the main hospital building. According to sources, the bill was introduced but never discussed among the committee, who met twice after its inception. The bill was never sent to the State Assembly, where it would also have been voted on before being put into action. When the legislative session ended, the bill was effectively dead. I watched the videocast of the June 4th Senator Hearing where Senator Eric Adams told SUNY “we need a HOSPITAL at LICH!”. He was insistent & adamant & grilled SUNY about their actions at LICH (http://www.nysenate.gov/event/2013/jun/04/discuss-suny-downstate-hospital-and-long-island-college-hospital-regard-sustainabi. Time:1:40). How is it that just 7 days later, he proposes a bill to sell the hospital & puts the Borough President (likely himself) in control of the money? Unbelievable! 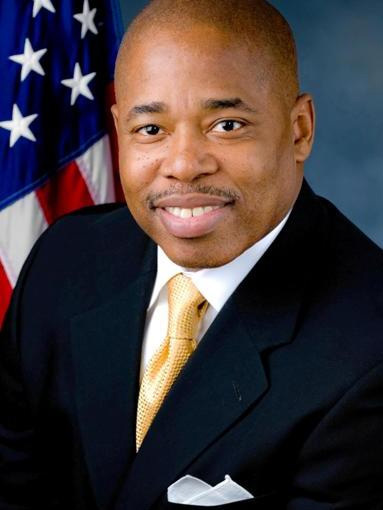 And the other guy – On his website Senator Kevin Parker features Carl McCall as his friend and long-time mentor. Carl McCall is SUNY’s chairman & has been fighting to close LICH for 6 months. Now Senator Parker proposes a bill (as henchman for McCall no doubt) to kill LICH. Looks like abuse of power to me. Do these politicians have no shame? I’ll never vote for any of them. Mr. Adams just lost my vote for Borough President. me too. & all of my family.